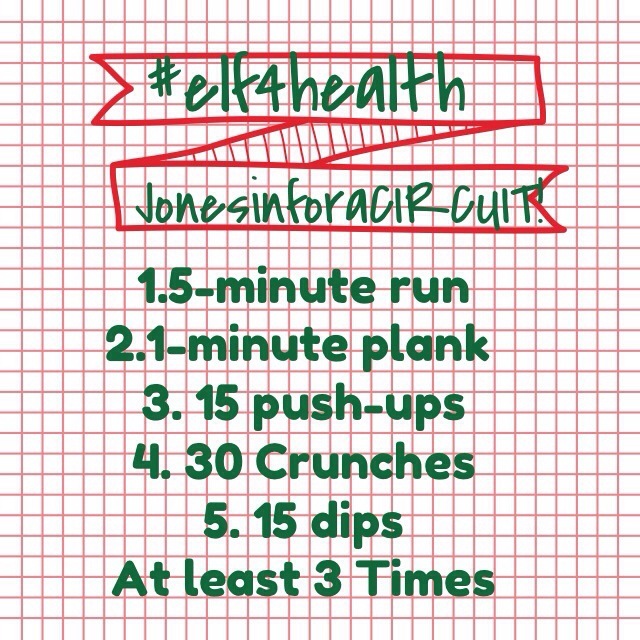 So I have joined in on the #elf4health challenge and I cannot wait to get started! Tomorrow is circuit workout day. I decided to do my own made up circuit. It does involve running so I can continue my streak for the I love to run December challenge. Check out my circuit and maybe even give it a try- just don’t forget to smile while doing it! What is your favorite circuit workout? I love the circuit idea! You should start posting a circuit once a week for us to do after the Monday night miles challenge ends. Awesome circuit workout, thanks for sharing!